Since China's adoption of the "go global" strategy, more and more of China's privately owned enterprises have focused on outward foreign direct investment , and by doing so they have become the major market participants in China's internationalization process. This book presents authoritative academic and professional insights into the determinants of internationalization of China's indigenous privately owned enterprises. 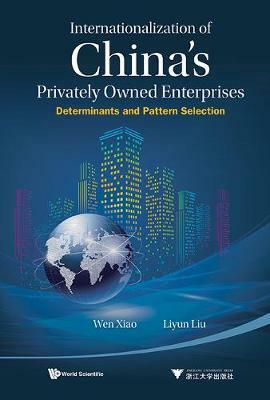 The case studies, in-depth interviews and investigations in this book will capture the interest of the readers and provide them with the background material and understanding of the determinants and possible pattern selection for internationalization of China's privately owned enterprises.